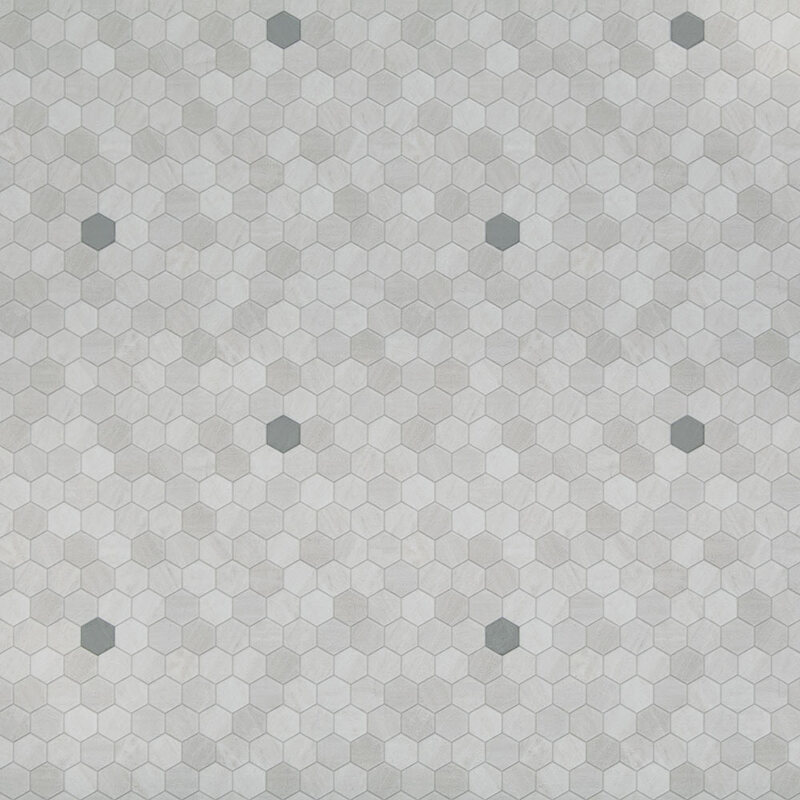 An updated throwback design, Penny Lane features small-scale marble hexagon patterns with colorful insets. 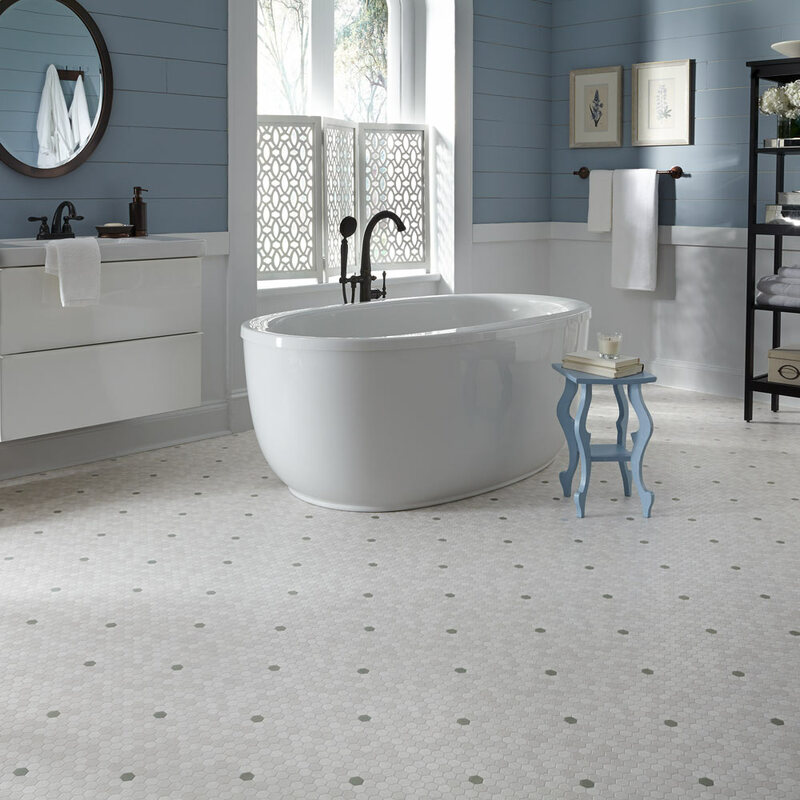 Give your home a modern touch of nostalgia with this unique and charming floor. Our enhanced performance construction that protects the beauty of your floor from rips, tears, gouges and permanent indentations. We guarantee 100% that our floors won’t yellow from rubber-backed mats. Not now, not ever.